Taraji P. Henson Speaks With Jussie Smollett "All The Time," Says He'll Return To "Empire"
Home>Entertainment> Taraji P. Henson Speaks With Jussie Smollett "All The Time," Says He'll Return To "Empire"
Season six is being worked on. While the controversy surrounding Jussie Smollett is settling down since the Empire actor had all charges against him dropped in the alleged staging of his hate crime (where he's now being forced to pay $130 for the investigation) it looks as though he's set to head back to work in Hollywood. 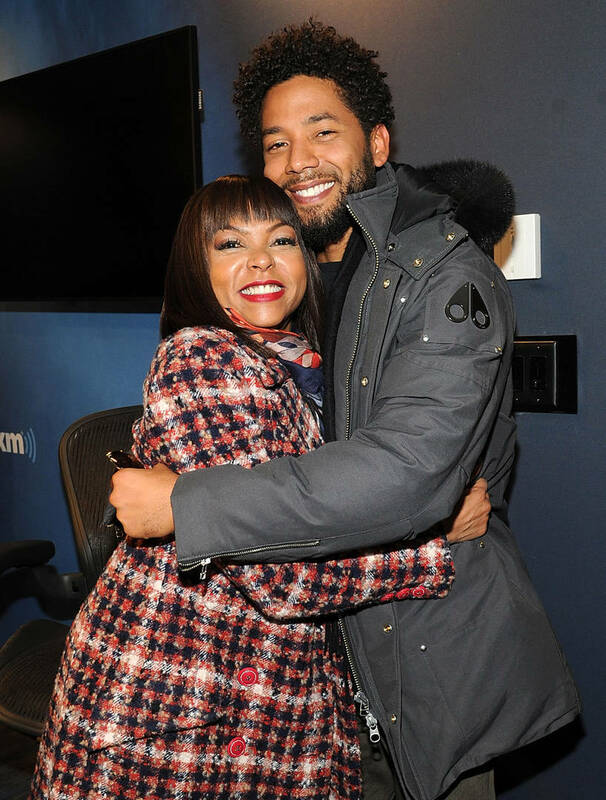 Jussie's co-star on the Fox series, Taraji P. Henson, paid a visit The View and discussed the upcoming season of Empire and whether Jussie will make his return. "Yeah, I talk to Jussie all the time and he's doing well. We're all doing well, the show is doing well." Taraji said when asked if she's spoken with him. "We're on hiatus right now and the writers are trying to figure out what the next season is going to look like, what our story is going to be. They're trying to drum up some really juicy stuff for you guys so that's what we are right now." When asked if Jussie will reappear in the upcoming season, Taraji responded: "Yes. I haven't heard anything else." As previously posted, the last episode of Empire pulled in the lowest ratings in the show's history with just 3.97 million viewers on last Wednesday's episode. Only time will tell how season six holds up. Safaree Boasts About His Fiancee Erica Mena: "She Looks Like This In Real Life"
ENTERTAINMENT Taraji P. Henson Speaks With Jussie Smollett "All The Time," Says He'll Return To "Empire"